It’s Heart Month so I’d like to share a heart warming story that happened in GVMH’s Cardiac Rehab this past Firday, the day before Valentine’s Day. We have a patient that is currently attending Phase III cardiac rehab that has been progressively losing weight, strength, and overall muscle mass. His wife brings him to rehab every Monday, Wednesday and Friday and she sits in the waiting room for the hour that he is in rehab because his health doesn’t allow him to drive anymore or walk without assistance from the car into the hospital. On Valentine’s Day he was talking with the Cardiac Rehab staff and he shared with them that this is the first time since they were married that he wasn’t able to go get his wife a dozen roses for Valentine’s Day. He said that she has to drive him everywhere he goes and she never leaves the house without him so he hasn’t had an opportunity to order roses without her knowing. While the patient was exercising on the bike, Whitney Smith, Cardiac Rehab RN, went to the gift shop to buy roses to provide the patient to give to his wife but they didn’t have any. She then took it upon herself to contact the flower shop and order a dozen roses to be delivered to the patient’s house that afternoon. She told the patient what she had done and that his wife wouldn’t miss her roses after all this year either. 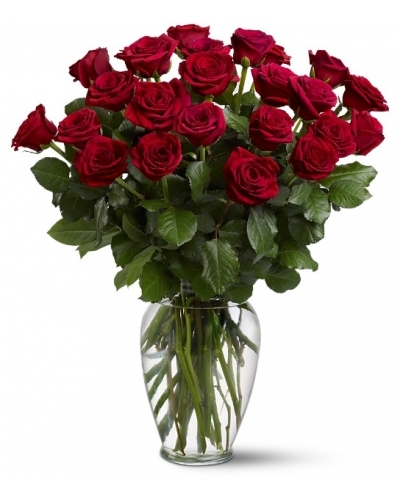 The patient reported the following Monday that the roses arrived at 3:00 pm that afternoon and his wife was thrilled~~he was very emotional and said “I really don’t know what I would do without these girls”. A great “heart” warming story. Thank you Whitney for making Valentine’s Day special for our patient’s wife and our patient! My guess is – 2015 was Whitney’s best Valentine’s ever as well. This entry was posted in Uncategorized and tagged Cardiac Rehab, great care, heart month, heart warming story, Valentine's Day. Bookmark the permalink. The Cardiac Rehab department always goes above and beyond!! They are the greatest!